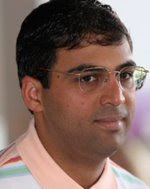 Verdensmester Viswanathan Anand roser Magnus Carlsen etter at 17-åringen stiller opp til veledighetssimultan til inntekt for den serbiske stormesteren Dusan Popovic som trenger nyretransplantasjon. While I know Dusan will be receiving unstinting support from his family and friends, I congratulate Magnus Carlsen in stepping forward in his hour of need with his spontaneous and magnanimous gesture to play on the Internet Chess Club to help the cause. Verdenseneren gjorde selv noe lignende i 2005 til inntekt for en organisasjon som støtter opp om barn med cerebral parese. Det kom da inn rundt 10 000 dollar til formålet. Denne «rekorden» ser nå ut til å bli smadret. I tillegg til Anands, er også Susan Polgar, New in Chess, og Americas Foundation for Chess på bidragslisten. Hovedpersonen selv rapporteres å være overveldet av støtten fra alle verdens sjakkentusiaster, spesielt av at han får hjelp fra en 17-årig nordmann! Minst halvparten av det resterende beløpet skal nå være sikret som følge av simultanen. Totalt trenger serberen 70 000 Euro. Alle de utlyste setene i simultanen har blitt revet vekk i budrunden og de som ønsker å følge partiene kan logge på ICC 20:00 mandag kveld. Se også Chessdom, TWIC, ChessVibes og Susan Polgars blogg. Do You Want To Play Magnus Carlsen on the Internet Chess Club (ICC – www.chessclub.com) and help raise money for a good cause? You may remember last year that World Champion Vishy Anand raised $10,000 on ICC for a charity that was close to his heart? Well, this year young rising Norwegian star Magnus Carlsen has magnanimously agreed to do a similar fundraising simul at ICC, with 100% of the monies raised going to help a young fellow grandmaster in need of urgent medical treatment. Serbian GM Dusan Popovic tragically took ill earlier this year and diagnosed with chronic kidney failure and now is in urgent need of a transplant. You can read more about Dusan’s plight here at http://www.chessdom.com/dusan-popovic. 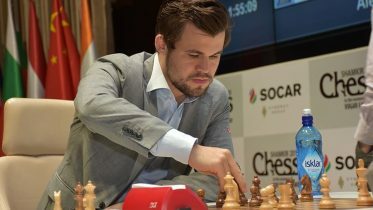 Magnus Carlsen will be giving of his time to help a fellow player in his hour of need.by hosting a simultaneous exhibition on ICC on Monday, August 11, with matches beginning at 2pm U.S. Eastern Daylight Time (7pm in the U.K. (BST) and 8pm in Norway and central Europe (CET)). You can PLAY! You can HELP! The six people who donate $500 each for these special fixed-price seats (three of which have already gone!) will receive a two-year subscription (or two-year renewal) to ICC; a downloadable copy of the latest version of Junior, the three-time world champion chess engine; and a one-year subscription to the world’s leading chess magazine, New In Chess—for a total value of about $250! Your winning bid will earn a seat to play Super Grandmaster Magnus Carlsen on ICC. The time control will be 90 minutes with a 5 second increment. Seats will only be available to players under the rating of 2200 and they will play with the black pieces. Notes: All payments must be made by PayPal or credit card within 24 hours of the close of the auction in order to allow time to properly prepare for this event. You need not be an ICC member in order to participate; you will receive instructions via email upon payment. ICC members can also pay a modest sum of 5 chekels (or donate more to the cause) to play in two online qualifiers (Saturday, 9 August, 5pm ET and Sunday, 10 August, 4pm ET) with six seats up for grabs – the top two from each qualifier, plus the two players with the highest accumulated scores playing both qualifiers winning through to play in the Magnus Carlsen Simultaneous. To play, a 5 chekel donation «help chekels» can be donated with: «c-offer Donation 5 for tourney» on ICC. You can also send $5 USD donation to the cause via paypal, to ICC@chessclub.com. For more information, please see http://www.chessclub.com/groups/DusanFund. Please remember that ALL 100% of the proceeds raised will go directly to GM Dusan Popovic’s medical fund for his kidney transplant – please give generously to his cause. 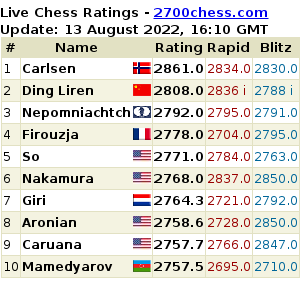 The Magnus Carlsen Simultaneous takes place Monday, August 11th with matches beginning at 2pm U.S. Eastern Daylight Time (7pm in the U.K. (BST) and 8pm in Norway and central Europe (CET)). I was really saddened when I first heard of GM Dusan Popovic’s plight. At such a young age, he has to confront a serious health condition that needs a lot of courage and persistence to combat. I wish him all the best. As a chessplayer, we all know what it is to fight. I am sure he will use these fighting skills he would have honed over the chessboard. It is also nice to see the next generation coming together for a cause that is far greater than the game itself. It is, as Dusan himself states, to be a «game of life» and I am sure the whole chess community will come together as one to participate and contribute to the fundraising efforts on ICC. For my part, I personally pledge $750 to the fund and urge everyone to contribute what they can on the day. My prayers, thoughts and best wishes are with Dusan and his family during this time and I am sure, like me, the chess community would all wish to see his return to active duty at the chessboard as quickly as possible.